I’d like to preface this by thanking Tourism Calgary and the Calgary Hotel Association for extending an invite into the city and being such awesome hosts. 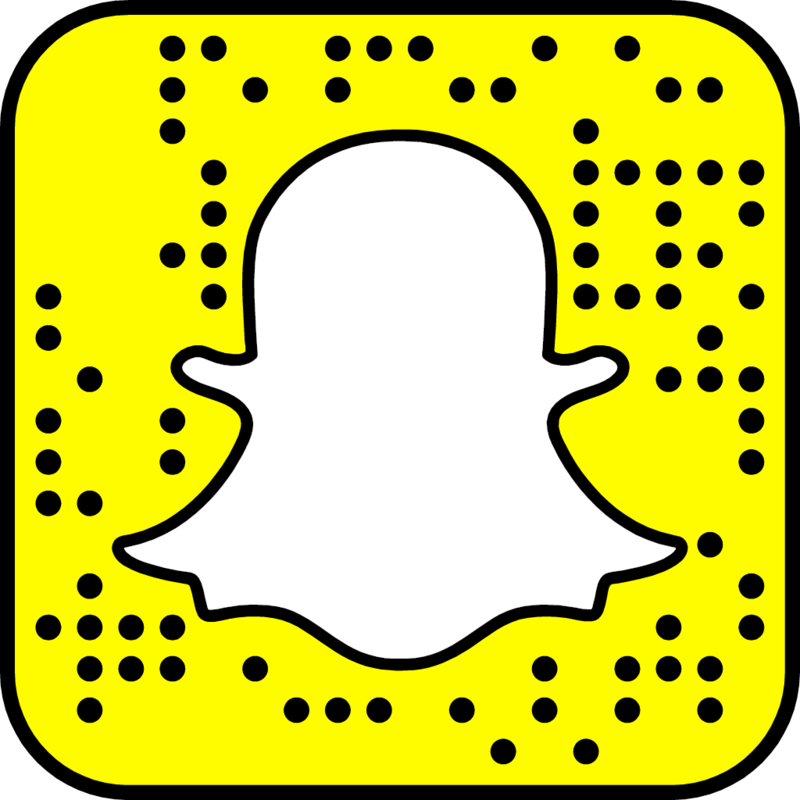 Together, we curated the perfect list of activities to enhance our stay over the weekend. 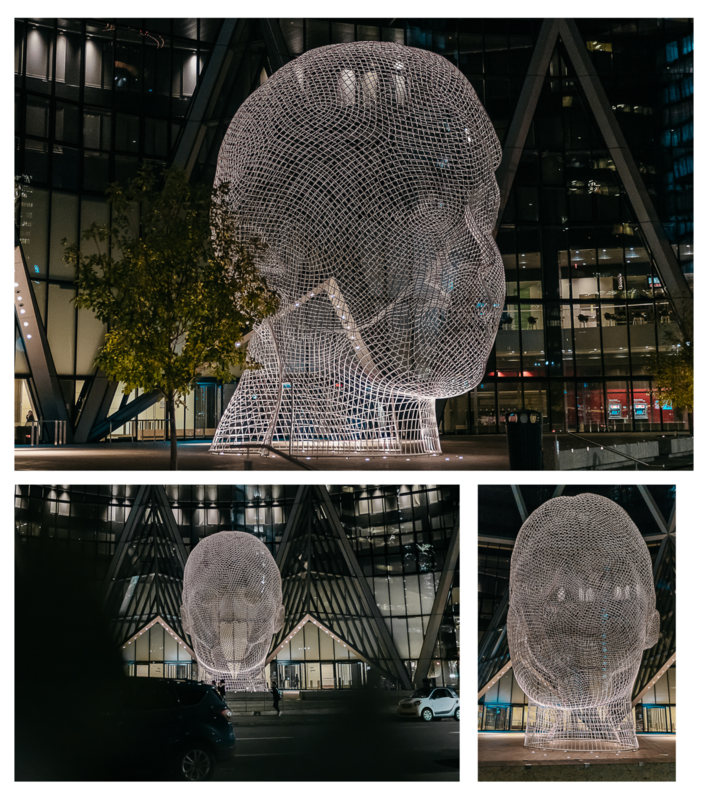 From vibrant art collections to stunning, eye gaping architecture, Calgary’s downtown core is unpredictable and unassumingly beautiful. 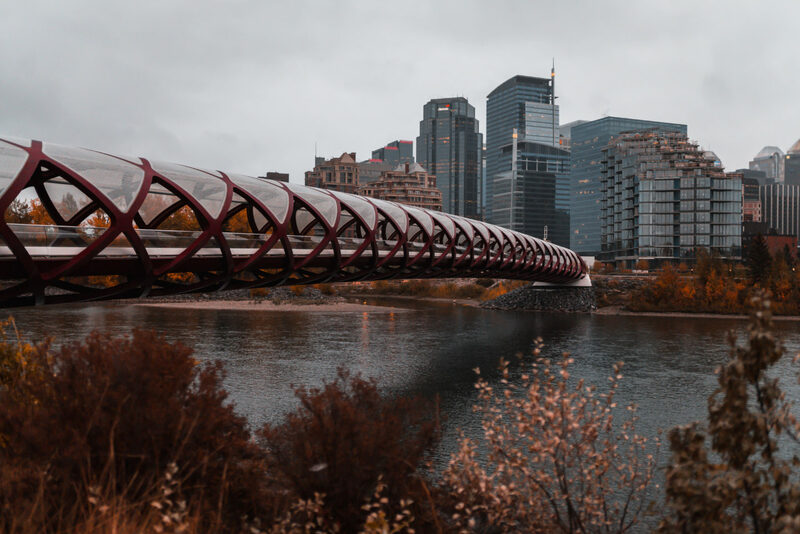 Whether you’re looking for a casual city getaway or wanting to shop and dine in luxury, Downtown Calgary has something for you. If you’re planning a trip to Calgary soon, you can take advantage of this awesome campaign being run by the Calgary Hotel Association. Starting October 1 until February 2019, you’ll receive a complimentary $75 gift card to CF Chinook Centre, CrossIron Mills, or The CORE Shopping Centre for every night you stay at a one of the following participating downtown hotel. We received a $150 gift card to splurge at the CORE Shopping Centre and I made certain to make good use of it all *grins widely*. 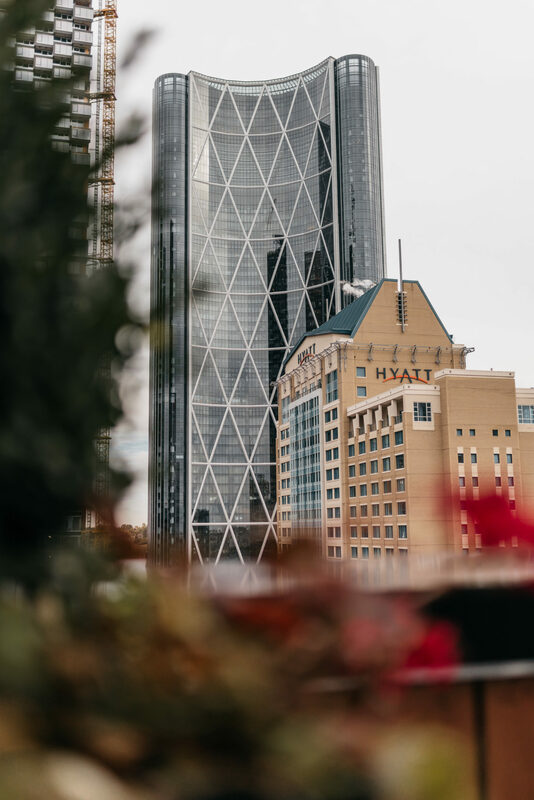 We stayed at Hotel Le Germain Calgary, a boutique hotel conveniently located opposite the Calgary Tower and steps away from Stephen Avenue Walk. My husband and I had stayed at this hotel a few years back and loved it, so I was excited to experience another stay here with my sister. 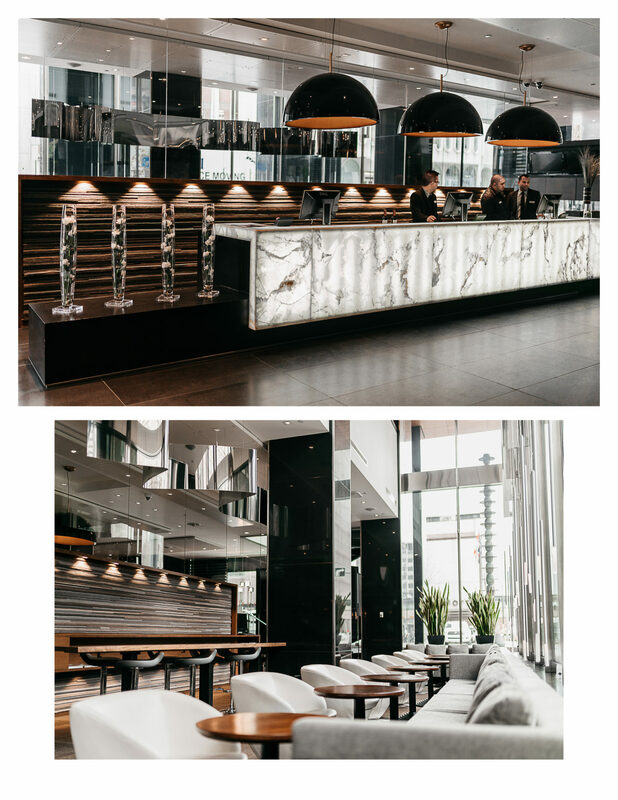 Along with some awesome amenities (a fitness room, the RNR Wellness Spa, the Lounge Central Bar and in-house restaurant), the hotel has no set checkout time. Imagine my glee when I arranged to check out at 5PM – sooo convenient! 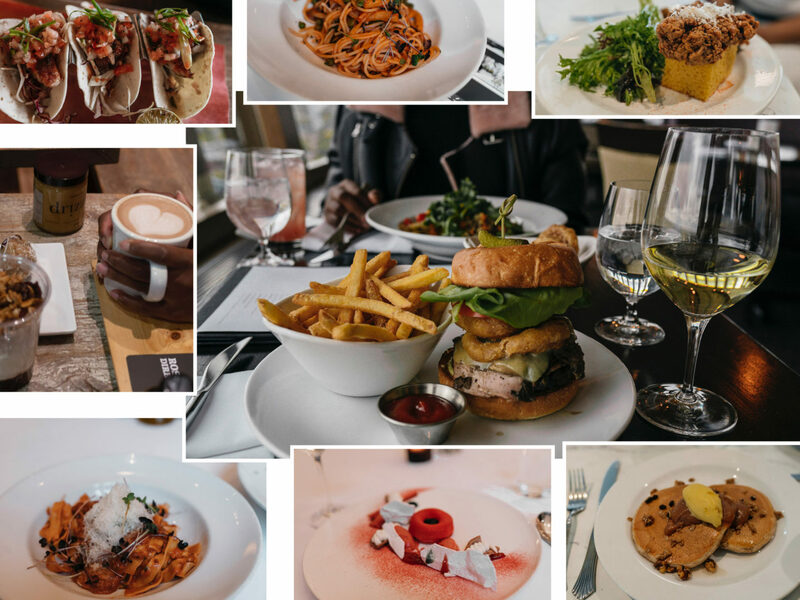 When it comes to dining, downtown Calgary does not disappoint! 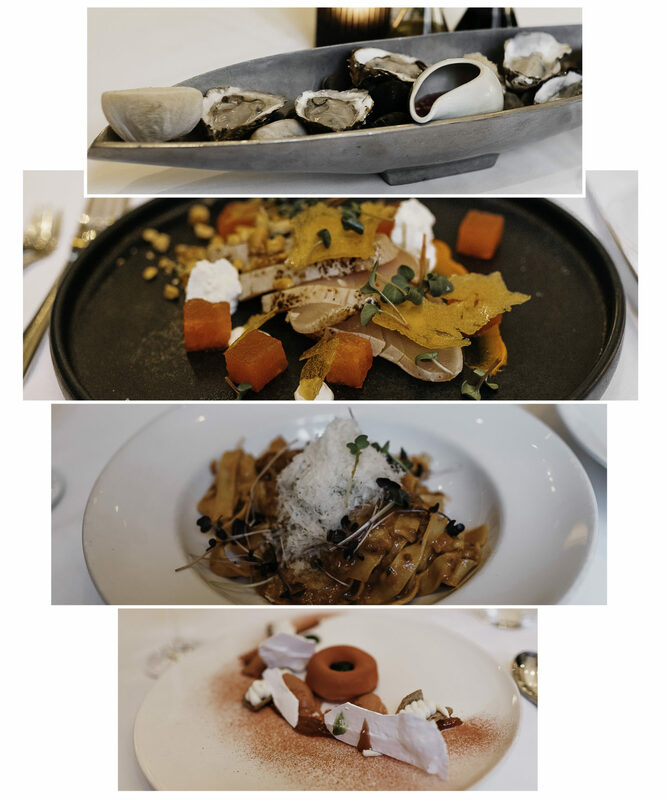 From fine dining to casual eats, we ventured to a few local spots in the city’s core to quench our hunger. Here are some options for you to try out. 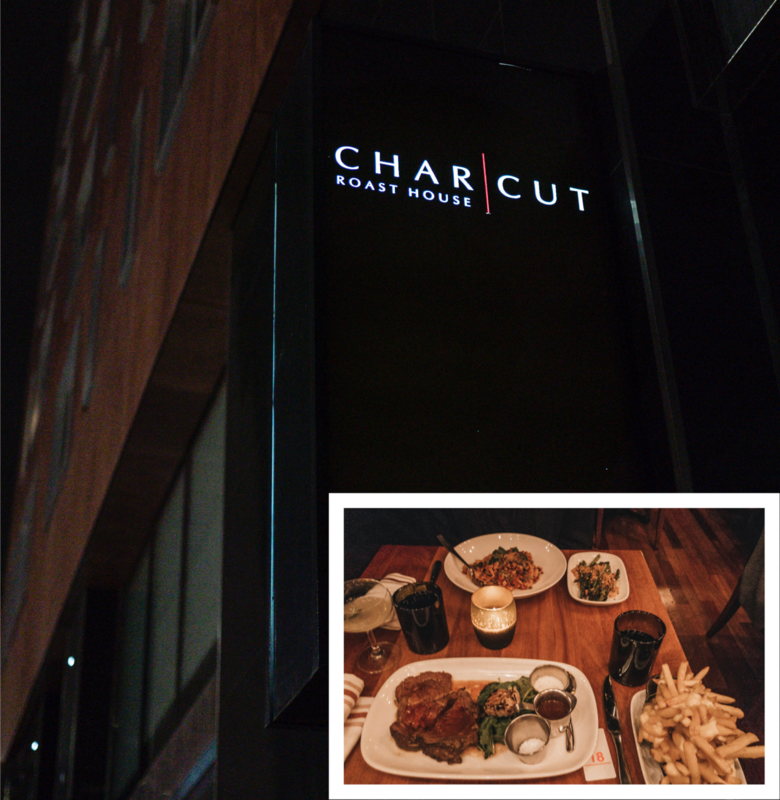 Located on the ground floor of Hotel Le Germain, CHARCUT was a convenient stop for dinner after our late arrival in Calgary. The Roast House has a creative menu blend of house butchered meats and homemade preserves. Given its robust roster of meats, the restaurant was still able to cater to my sister who is a very picky vegan with a customized pasta dish- extra brownie points! In cases like these, she usually gravitates toward french fries but since their fries are fried in duck fat, it was a no go for her. Speaking of which, make sure you try the duck-fat fried poutine with truffle gravy and cheese curds. You’ll thank me later. I’m usually not a breakfast person on weekend mornings but Rosso was just what I needed before heading out to explore the Glenbow Museum. 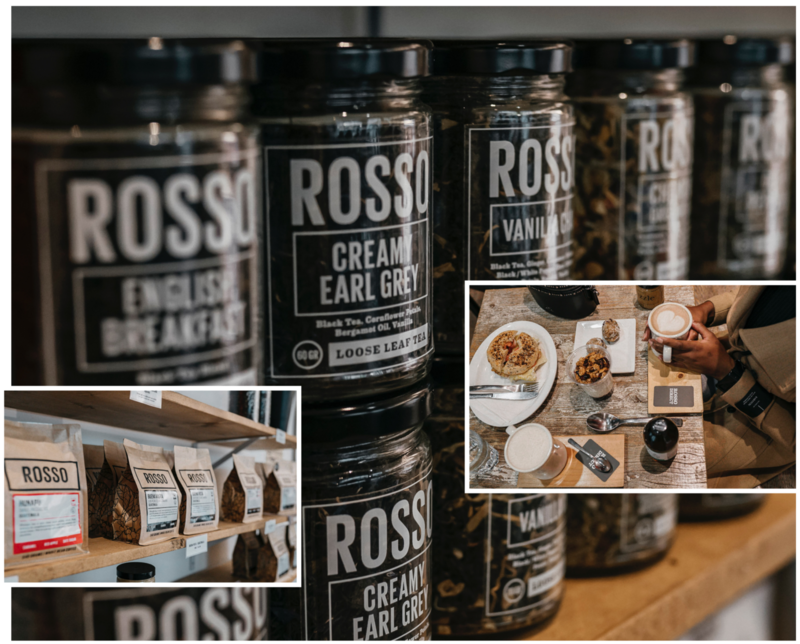 Located steps away from our hotel, Rosso Coffee Roasters is located on Stephen Avenue, right in the heart of the commercial district. We arrived to a partially empty room which was very serene and relaxing. I can’t imagine how busy this place gets during the rush of a business day! The cafe purchases coffee directly from producers in Guatemala, Costa Rica, Rwanda, Myanmar, Brazil and Columbia. While I’m not huge on the idea of coffee, I have to admit that is a pretty impressive roster. 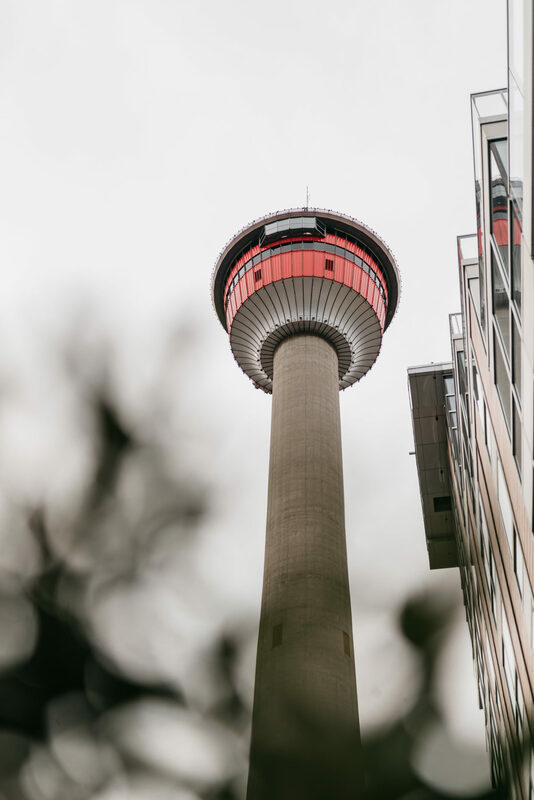 Who wouldn’t want to enjoy a meal with panoramic views of the city and the Canadian Rockies while revolving 600 feet above the downtown core? This one seems like a no-brainer, right? RIGHT!? Okay, I’m done yelling … but I hope I drove that point home. 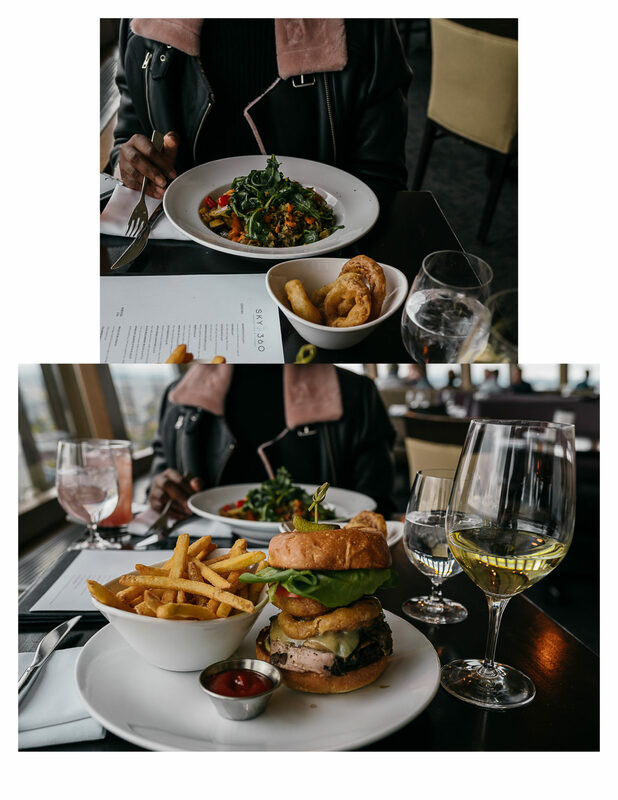 Sky 360 offers more than just the magnificent views *cues Drizzy*, the restaurant also has a delicious menu, an award winning wine list and a modernly designed space. Teatro is what you get when you mix the old with the new. 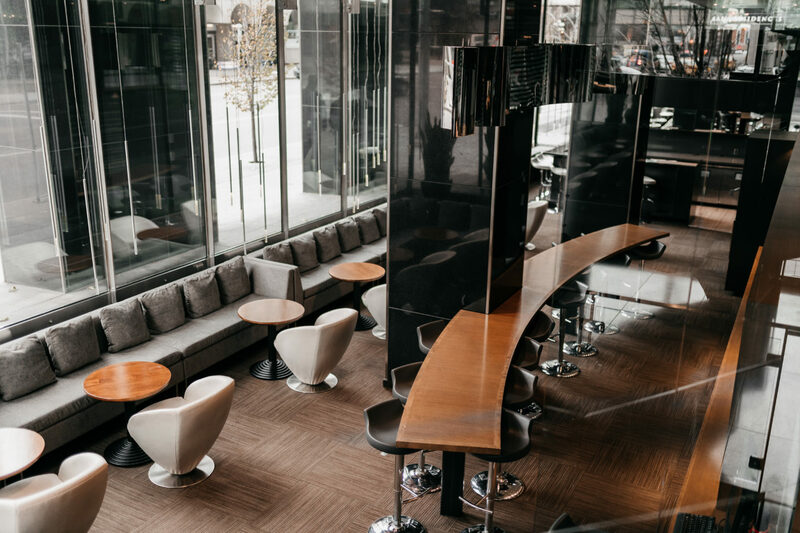 Located in Calgary’s downtown theatre district, Teatro is a contemporary Italian restaurant filled with elegance and charm. 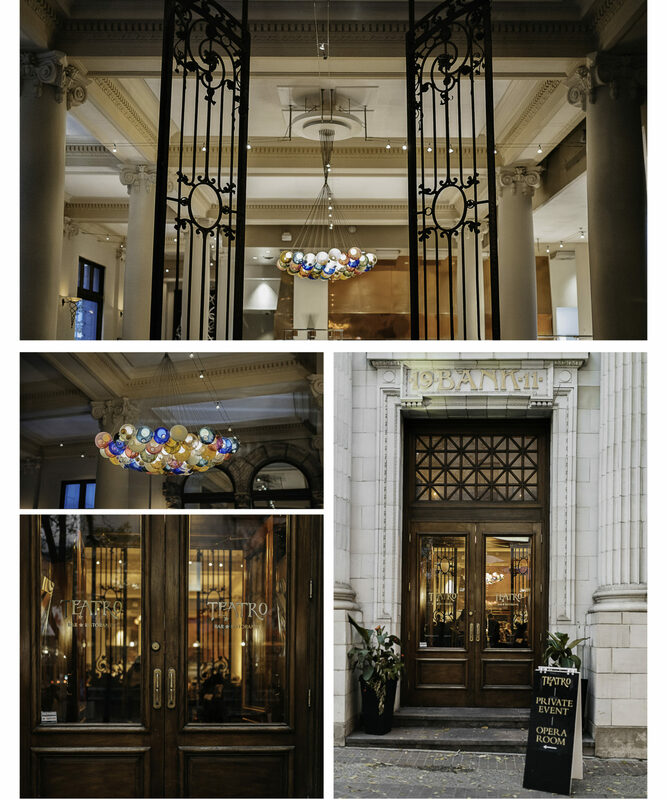 The restaurant is housed in the historical Dominion Bank building, a beautiful early-twentieth century wonder covered in sandstone and marble . If I could do life all over again, I’d opt to rent out this beautiful restaurant for a private/intimate wedding. Too early to start planning those vow renewals? 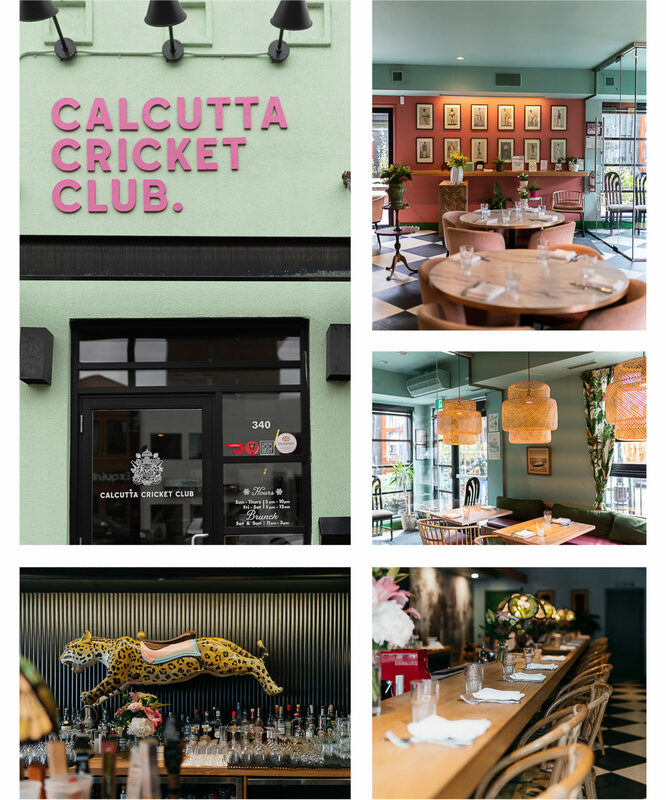 I had heard nothing but good reviews about Calcutta since their opening in 2017 and had fallen in love (virtually of course) with the decor long before I had the chance to visit. The restaurant boasts a mix of quality takes on Calcutta-inspired cuisine, old family recipes, and classic street snacks that pair perfectly with their creative cocktails, local draught beers & wines. 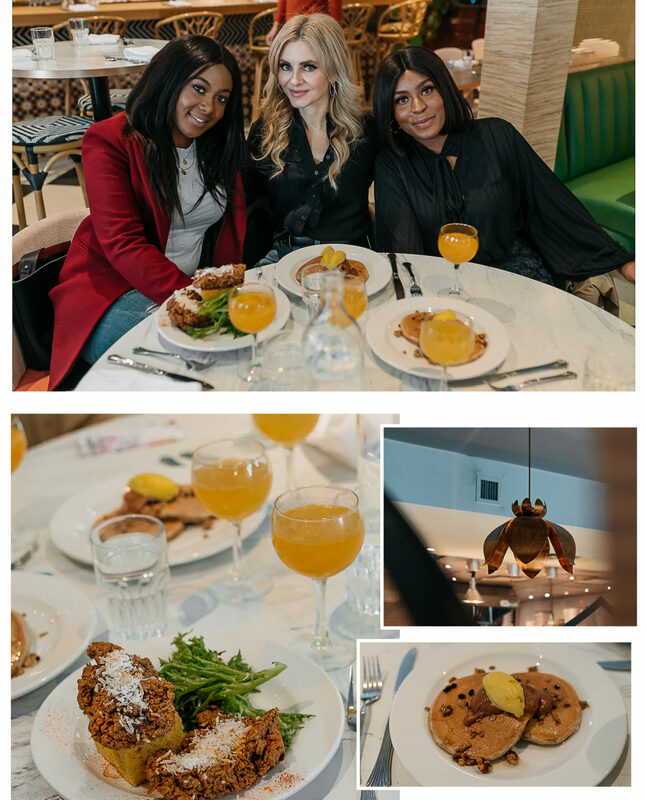 My sister and I met up with a few friends, who also happen to be Calgary bloggers, for a brunch that did not disappoint. If you get a chance to visit for brunch, be sure to flag down the DIY mimosa trolley (pineapple mimosas are where it’s at) and try the sweet + savoury Chai-Ovaltine Pancakes! 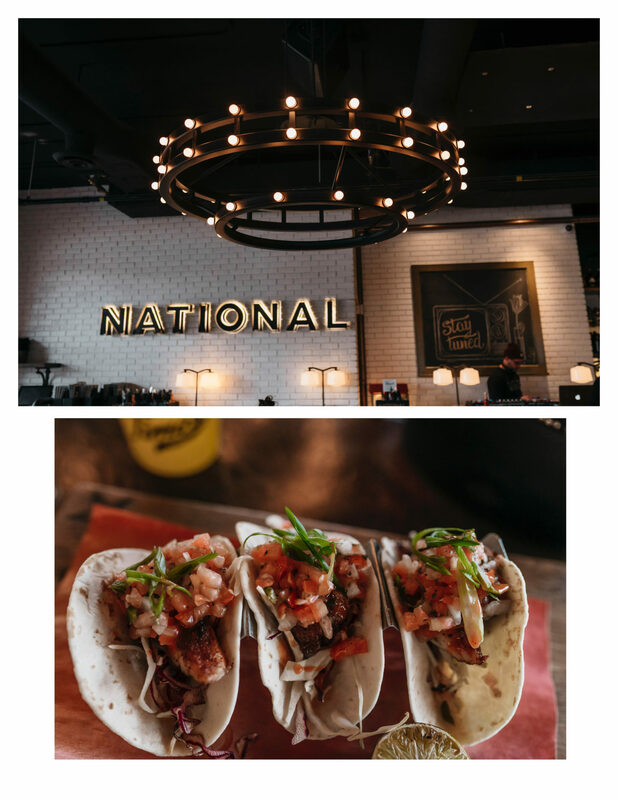 Located on 17 ave., National has a more relaxed vibe and with a generous roster of craft beers from small breweries. With less than a few hours to spare in the city, I stopped by National to grab a quick bite and refuel for our final trek around the city. The Glenbow Museum is one of the largest museums in Western Canada and boasts some 28,000 works of art in its collections and over a million artifacts. 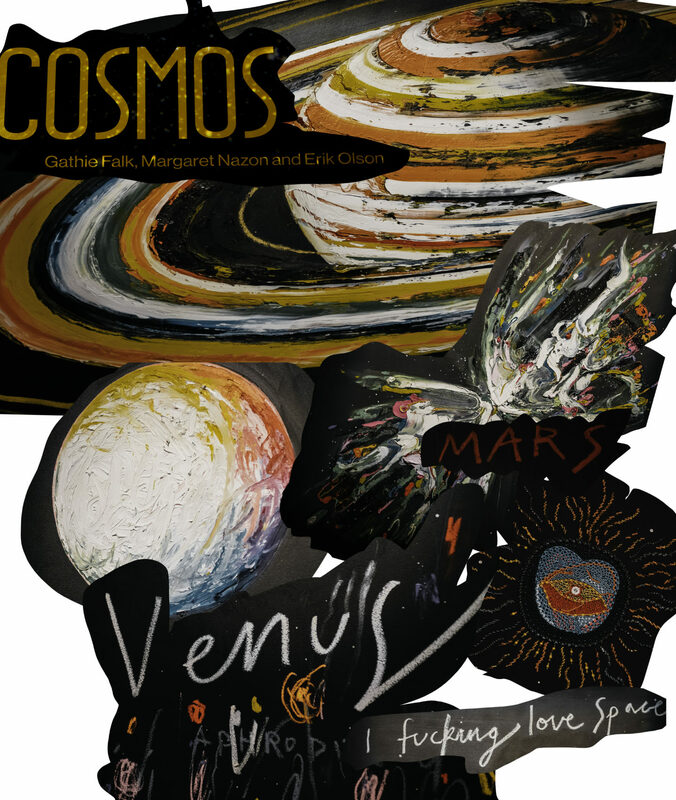 We decided to check out the debut of a new exhibition called ‘Cosmos’, featuring artists Gathie Falk, Margaret Nazon and Erik Olson. ‘Cosmos’ celebrates the timeless fascination with the cosmos through contemporary works that explore the night sky. I created the montage above in attempt to summarize our visit, but you absolutely must check out the exhibition on your own to get the full experience. The exhibition runs from September 29, 2018 to January 6, 2019. Another notable and must-see exhibition is ‘Where Symbols Meet: A Celebration of West African Achievement’. This is an exhibit that explores how achievement is recognized and rewarded in five major cultural groups from over a dozen West African countries. Most of Glenbow’s West African collection comes from Cameroon, Cote d’Ivoire, Ghana, Mali and Nigeria. This is a permanent exhibit, so you can check it out anytime during the museum’s business hours. If you’re eating at Sky 360, your elevation fee to the observation deck is included in pricing. You can visit the tower’s website to find more information on admission rates and the hours of operation. Since we had lunch at Sky 360, we were granted access to the Observation Deck a floor above the restaurant. If you’re brave enough, stand/walk/jump on the glass floor for an amazing birds-eye view of the city streets. Stephen Avenue Walk is Calgary’s only pedestrian mall located in the heart of the downtown core and home to a ton of shopping, cool restaurants, and entertainment venues. 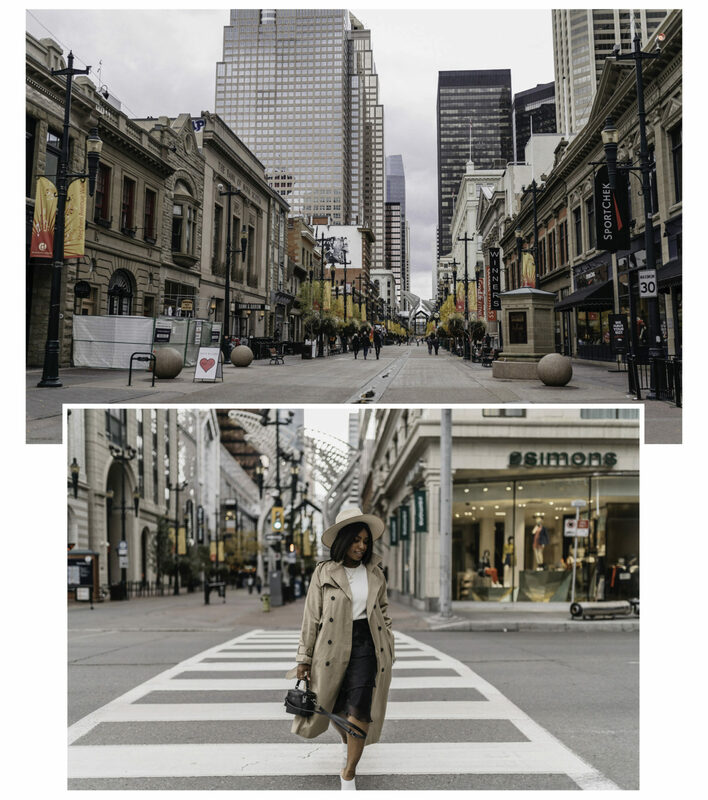 The CORE Shopping Centre is Calgary’s most expansive urban shopping destination. 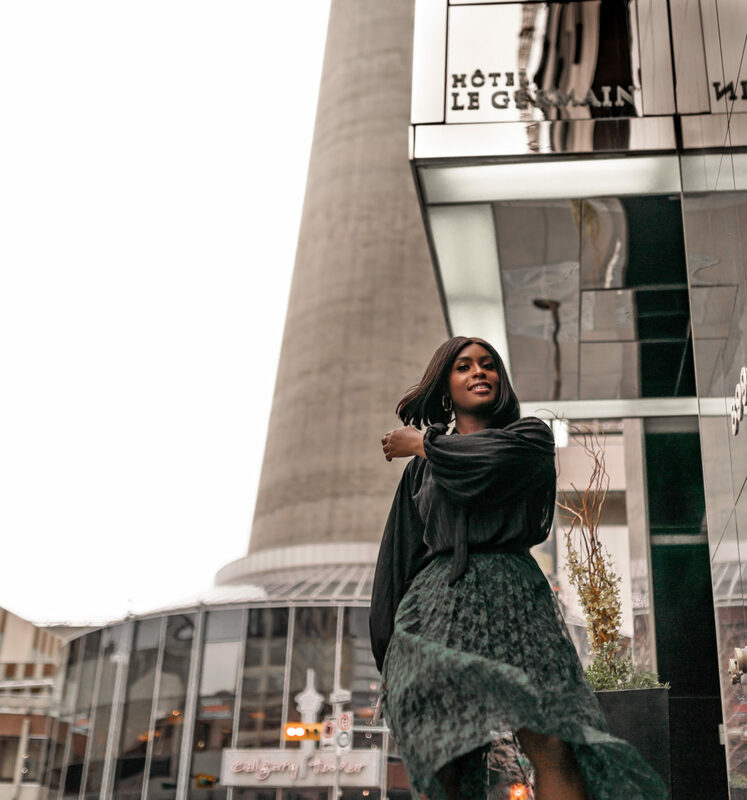 With flagship stores like Holt Renfrew and Simons, The CORE is home to four stories of shops and services along with the Devonian Gardens, an indoor tropical garden on the top floor. This is a great opportunity to make good use of your gift card earned from staying at one of the participating hotels! Alberta Theatre Projects is a Calgary-based contemporary theatre company the presents new works, plays by Canadian playwrights, and some great theatre from around the world. We were lucky to get a taste of the ATP experience by catching the final show of ‘The Virgin Trial’, a racy, high-stakes thriller about the political and sexual scandal that set the stage for Elizabeth I to become The Virgin Queen. And that’s all she wrote! If you’ve made it this far, thank you for sticking this through to the end! My sister and I obviously had a blast in Calgary and cannot wait to visit again. Peace out Calgary! I’ll be back sooner than you know it! This is such an amazing post. Now I really want to visit Calgary ASAP! Thank you so much for taking the time to read it Jen! 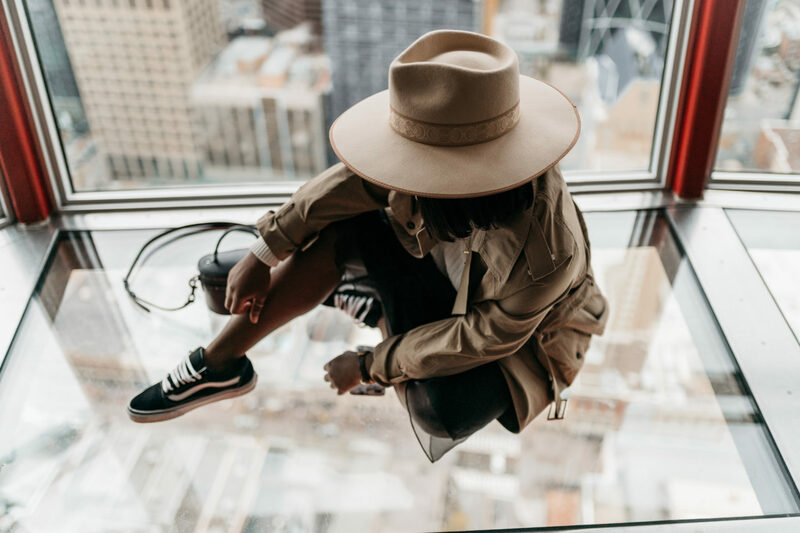 There’s so much more the city offers but what we were able to cover in 48 hours was pretty awesome! Wow, you make me want to book a flight to Canada and get to Calgary! I love all of the amazing photos that you took, especially the food pics. I can tell you’re very passionate about travel and it’s amazing to see your view on a new city. I definitely loved your thoughts on all of the art as well as your awesome tips on traveling here. Keep up the amazing writing! This warms my heart! Thank you for taking the time to read the post and a million times more for your kind words. I really do love experiencing new cultures and learning through travel. I’m so happy you visited!! Great post girl. LOVE LOVE LOVE LOVE LOVE LOVE LOVE LOVE LOVE LOVE LOVE LOVE LOVE LOVE LOVE LOVE LOVE LOVE LOVE LOVE LOVE LOVE LOVE LOVE LOVE! The photos are everything!!!! I really should plan a trip up North but I don’t know if I can do the cold!! Maybe summertime? ?